Fay Sharpe's Fast Forward 15 mentoring scheme for women in events has recruited four leading industry figures as new mentors for 2016. 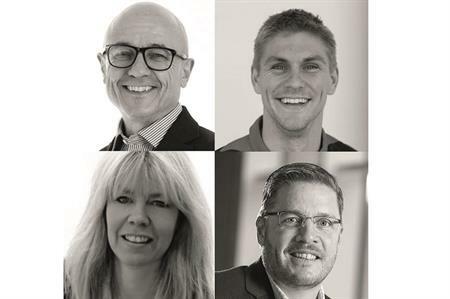 The four new mentors include Kevin Jackson, director at new agency The Experience is the Marketing; Robert Quayle, meetings leader and head of events, UK Marketing Company - AstraZeneca UK; Tracy Halliwell, director of business tourism and major events for London & Partners; and Steve Brown, London 2012 Paralympic wheelchair rugby captain, public speaker and athlete mentor. Jackson said: "It’s a real pleasure and an honour to be joining Fay's Fast Forward 15 as a mentor. I am excited to meet my mentee and work closely with them throughout the year, to pass on my knowledge and experience from this incredibly exciting industry of ours. "One of the great things about mentorships is it’s a two-way street and it will undoubtedly be a great learning experience for me and one I am looking forward to." Fay Sharpe, managing director of Zibrant and founder of Fast Forward 15, added: "I’m thrilled that such prestigious industry figures are joining the Fast Forward 15 programme. Their contribution and support will add considerable weight and gravitas to this highly successful initiative. Personally, I cannot wait for mentee applications to come in when we launch the 2016 website on Friday."